R# marks following statement as error but source is compiled successful. i've attached the source of the library (as it i8s open source). 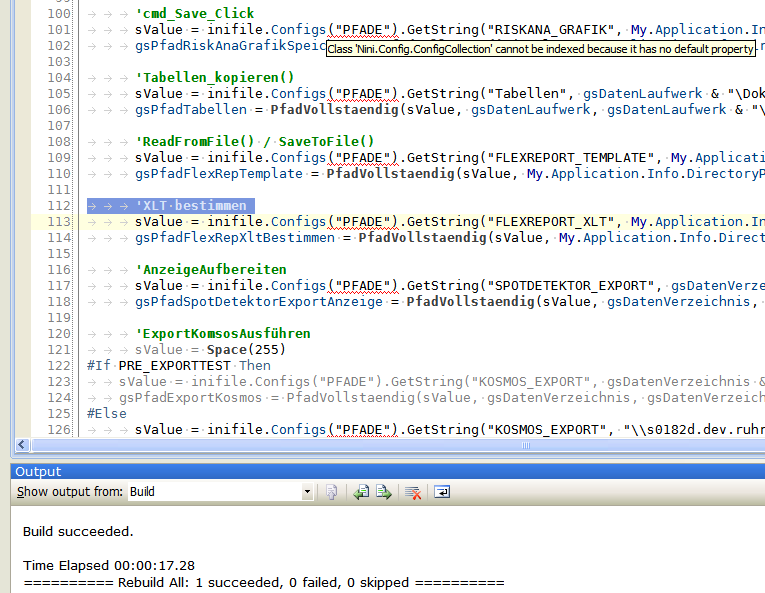 inifile.Configs addresses the class ConfigCollection inside the library.